Herbs and spices might seem like innocent additions to your cooking repertoire or health regimen, but if you're pregnant, you should proceed with caution. While certain herbs and spices are safe during pregnancy, and even recommended in some cases, other varieties are off-limits until you deliver your baby. Learn the difference so you can avoid the dangers they pose to you and your unborn baby. Always ask your obstetrician before using any herbs and spices, especially if they are in supplement form. The U.S. Food and Drug Administration rates certain supplements and medications so pregnant women know more about what's safe and what's potentially dangerous. The rating of herbs and spices is more of a gray area, however, because the potency of different batches of these can vary, the American Pregnancy Association reports. So, even though herbs are natural, it doesn't mean they're safe. Herbs and spices that are labeled "likely safe" are generally considered safe to take during pregnancy, but ones that are labeled as "likely unsafe" or "unsafe" are obviously off-limits. Always talk to your doctor or a certified herbalist before taking any herbs or spices, the American Pregnancy Association cautions. 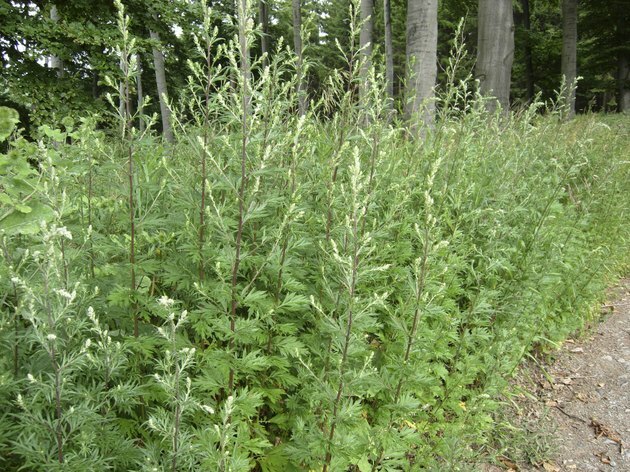 Herbs that are "likely unsafe" or "unsafe" include black cohosh, dong quai, ephedra, yohimbe, passion flower, roman chamomile, saw palmetto, goldenseal, pay d'arco and pennyroyal, according to the American Pregnancy Association. The Pregnancy.org website adds aloe vera, barberry, basil oil, Devil's claw, feverfew, juniper oil, mistletoe and mugwort to the list of herbs to avoid because they can each cause uterine contractions. Autumn crocus and arbor vitae should also be avoided because they can cause birth defects, Pregnancy.org reports. Large amounts of nutmeg should also be avoided, Aviva Jill Romm reports in her book, "The Natural Pregnancy Book: Herbs, Nutrition, and Other Holistic Choices." 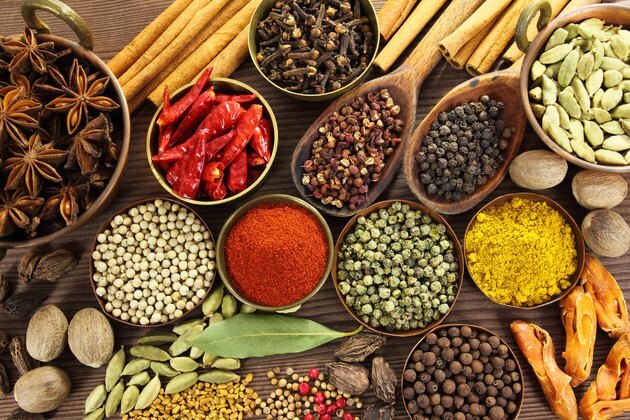 There is an entirely different list of herbs and spices that are "possibly unsafe" and shouldn't be taken without the approval of your doctor. 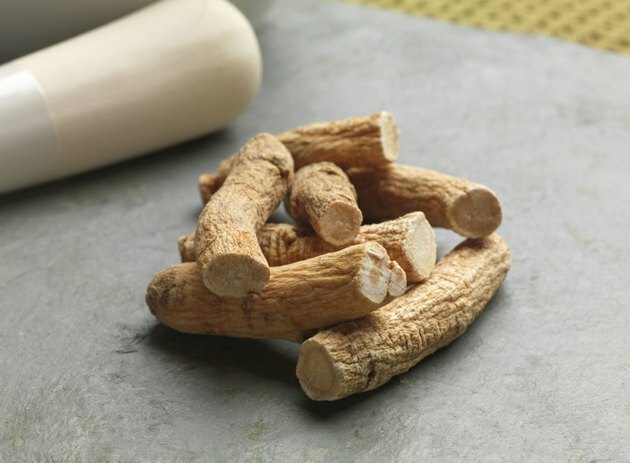 American and Korean ginseng, evening primrose, feverfew, kava kava and senna are among the herbs that you should think twice about while you're pregnant, according to the American Pregnancy Association. Another classification, this time from the Natural Medicines Database instead of the FDA, is "Insufficient Reliable Information Available." That means there are no studies that prove that these herbs are safe or not. Including in this list are dandelion, chamomile and nettles. 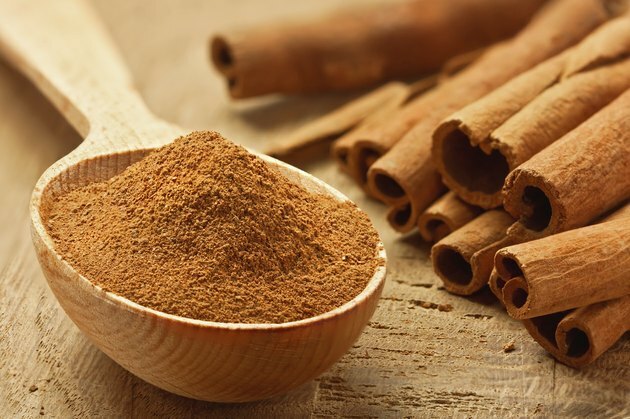 Most spices, such as cinnamon and black pepper, are safe in food doses, such as when you sprinkle them on foods or use them in cooking. Herbs on the other hand, aren't that simple. It's always best to err on the side of caution and stop using any herbs without speaking to your doctor first. The American Pregnancy Association notes that seeing a certified herbalist might also provide useful information about what's safe and what you need to avoid. Romm notes that many herbs are useful during pregnancy and can help ease many common pregnancy complaints such as tired feet and morning sickness. Speaking with an herbalist can help you learn what you can safely use to ease these symptoms. Can You Eat Cloves During Pregnancy?